Visit our Glass and Homeware Shop in Torrington where we will be launching some huge one-off sample offers on a range of limited edition pieces that will never be repeated again. You can expect to find a variety of items including ceramics, glassware, crystal, Caithness paperweights and garden gifts. 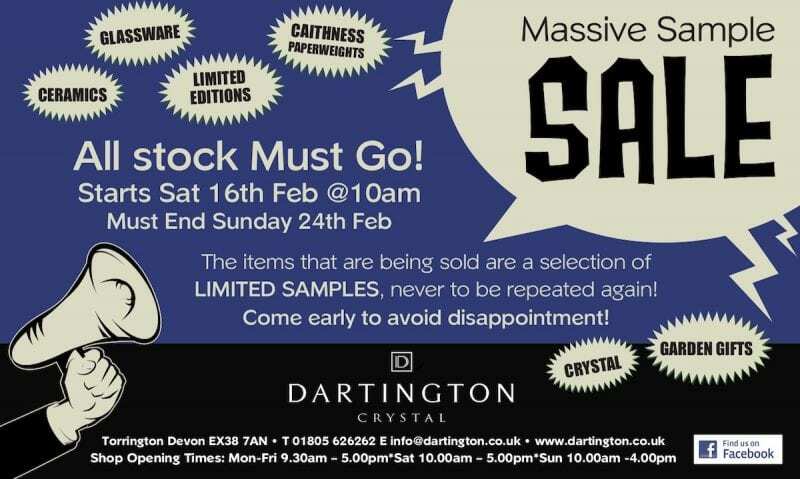 All stock must go – visit early to avoid disappointment!